Amkette Trubeats E7 Ergo Fit earphones have been designed for Comfort. The angled earbuds fits properly in ear canal resulting in supreme comfort and noise isolation. Large 10mm Neodymium drivers produce Powerful sound with Rich Bass. Inline Multifunction Remote control lets you control music and calls swiftly. 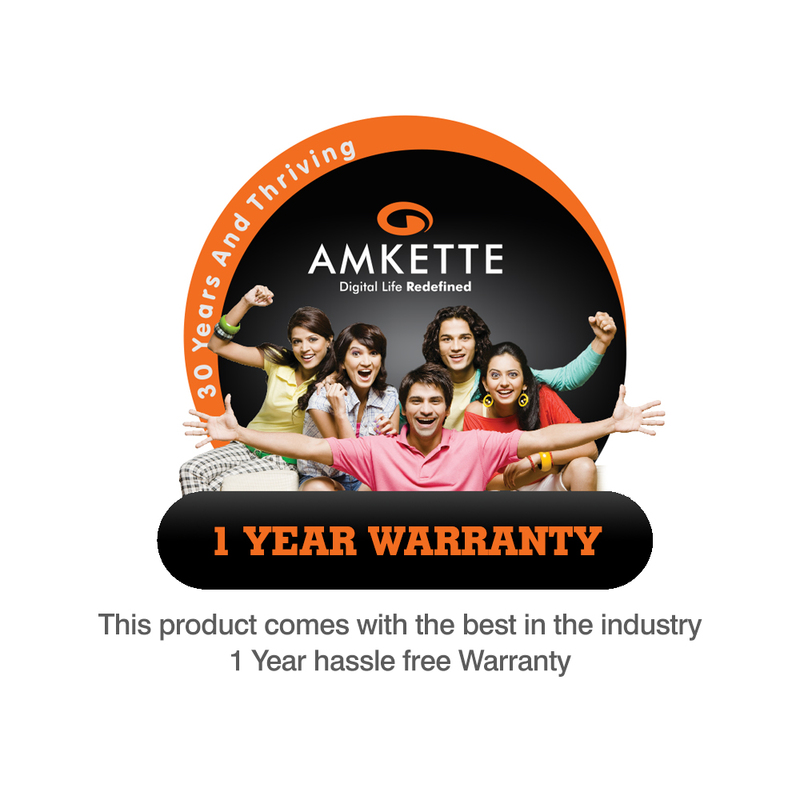 Amkette Trubeats E7 Ergo Fit earphones are ergonomically designed to provide supreme comfort to your ears. The angled earbuds insert properly in ear canals and provides excellent noise isolation. Ergo fit earphones are power packed with large 10 mm Neodymium drivers to produce powerful sound with rich bass. Multifunctional Remote allows you to control both music and calling functions with a single button. You can play/pause, forward/backward your songs and pick up /reject calls with just single button. Inbuilt highly responsive mic helps you in having the engaging conversations. With lower input impedance of 16 Ohm, E7 Ergo Fit earphones are optimized to be used with Smartphones, Tablets and mp3 music players.